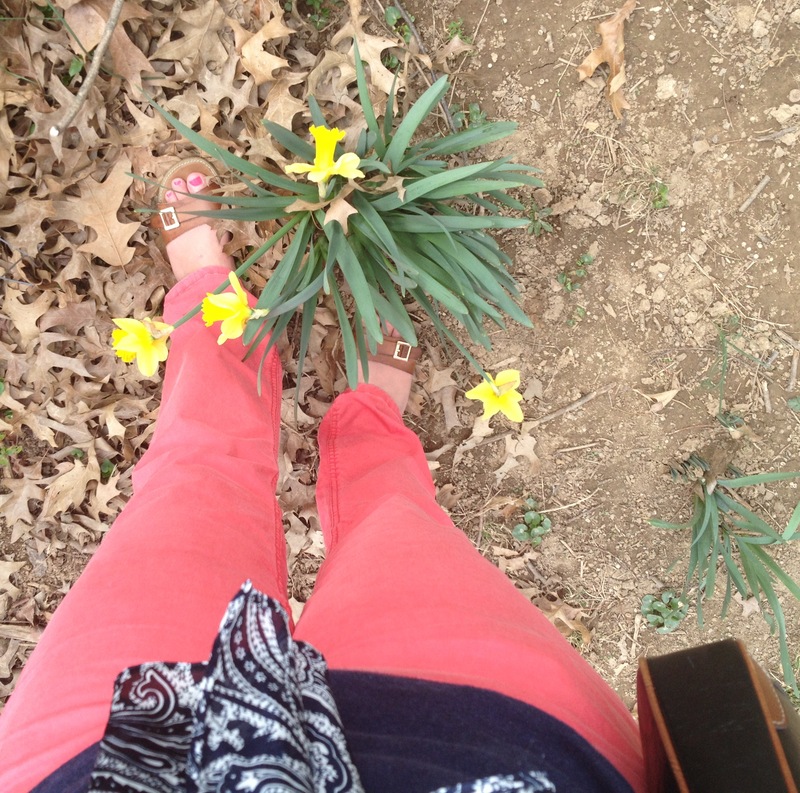 as well as cute daffodils – Spring has sprung! A lot of this outfit is from last spring so most of the items are not available for purchase still… but the pants are and they’re even more discounted than they were in my last post! Keep in mind that if you have trouble combining colors, want a simpler look OR simply want to spend less money on polishes, choose one pastel color and white for your pattern accent. If you’re expecting perfection you either need a steady hand or maybe try out a stamping tool instead like Konad. 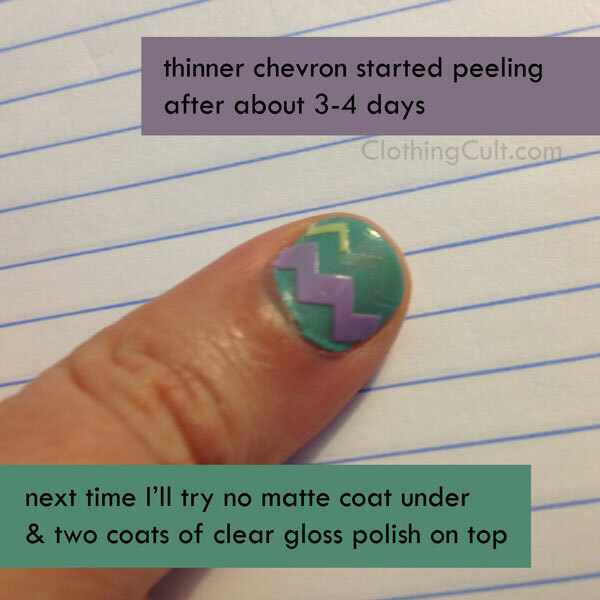 But I found an even simpler method – we’re going to create our own chevron nail striping tape which is easier to get right as well as creating crisper edges. We want easy Easter nails right? Cut your tape with the zig zag scissors. 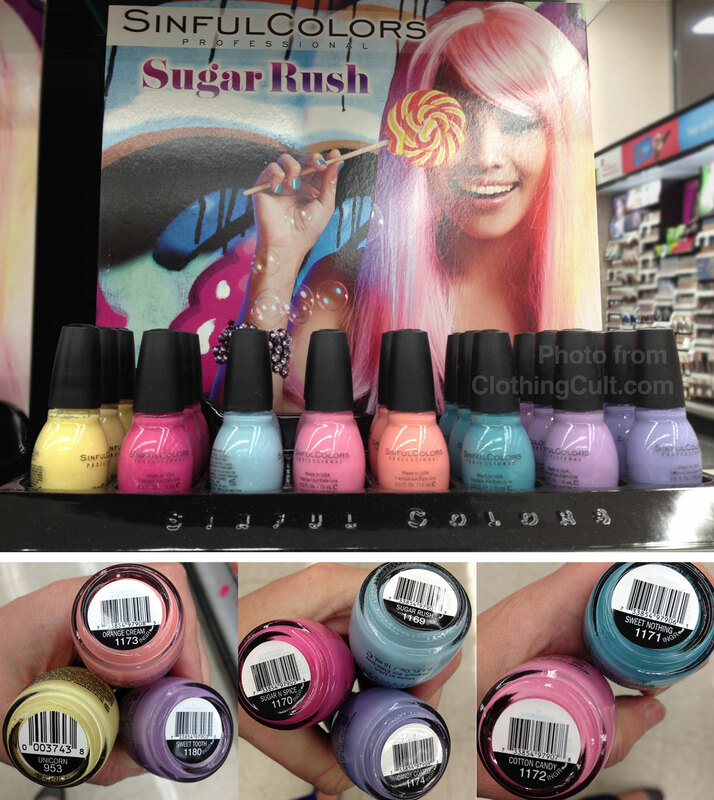 This may take a couple of tries to get lined up the way you want so don’t worry if the first piece isn’t what you want on your nails. I used the mug in the photos to hold my tape parts temporarily. Apply the chevron strips to your nails. Use as many or as few as you want (also depending on your nail size.) I didn’t use tweezers but they may help place the tape if you’re having trouble. Trim the excess tape using your small regular scissors. Shown are sewing thread scissors. Cuticle scissors are also small. Add a clear top coat or two to seal the tape in place and you’re done! 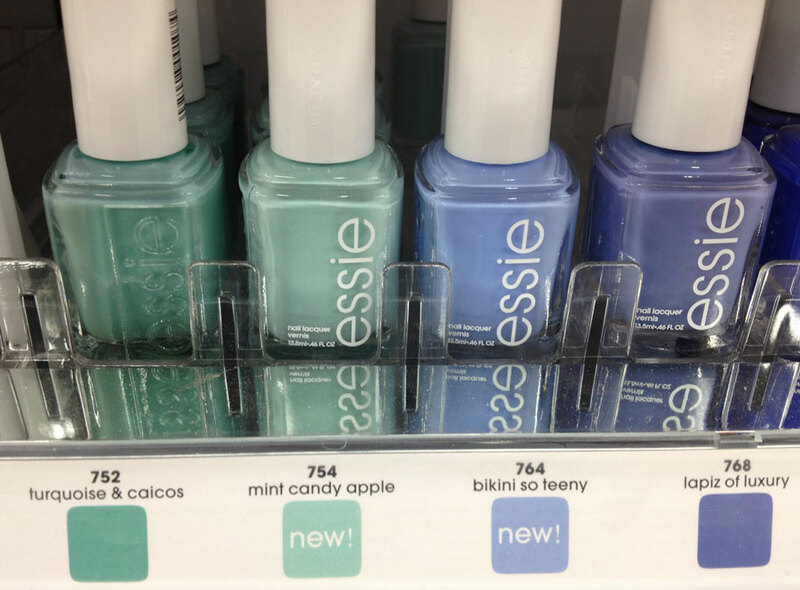 And there you have it, 3 options for easy Easter Nails! Update: The chevron tape lasted about 3-4 days before the thinner chevrons started coming off. I’m not sure if it might last longer with an extra top coat or without the matte polish underneath. What would you wear to an outdoor wedding? Well my sister’s wedding was last weekend and I had four dresses to choose from. It was an outdoor wedding, casual but not too casual. I knew I wanted to wear a pair of wedge shoes so I wouldn’t sink into the ground in heels but it took me a little while to decide which dress made sense. Maybe too funky for a wedding. It wasn’t very spring looking even with the flowers. Seemed a little too formal for a daytime spring wedding. Looked great but didn’t photograph as well as the others. I think the flowers were too blobby and nondescript. Perfect fit again but a little more casual. If it had been a friend’s wedding instead of my sister’s I probably would have worn this because it’s the one I was most comfortable in.